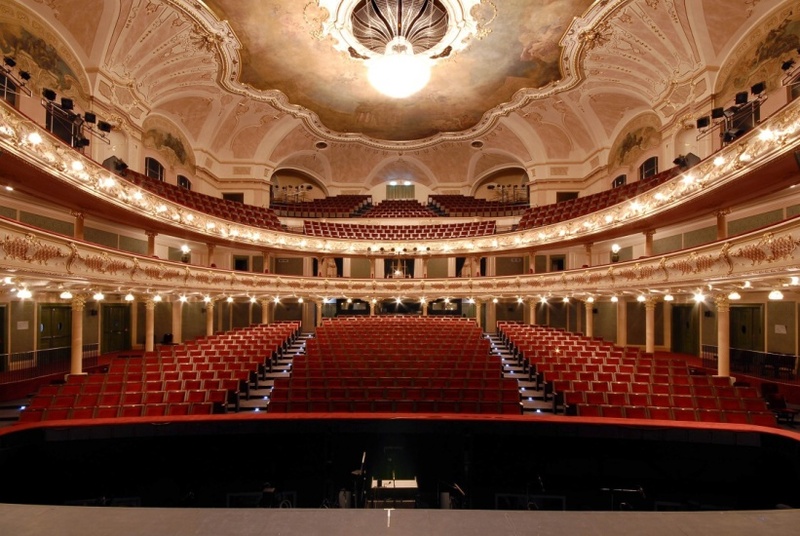 The third oldest theatre in Prague opened 15 days after the National Theatre fire in 1881. From its early days as a circus arena where magic, circus and "midget shows" were held, the theatre has grown into a renowned venue for musicals and operettas. The Karlín Musical Theatre boasts the largest historic theatre for nearly 1,000 people. Ticket booking: on-line via Ticket Art and Ticketportal. There is a theatre café and restaurant. English subtitles available for any performance. In 2016/17 and till the end of the State Opera´s reparations, the Karlín Musical Theatre is used as a venue of the National Theatre for ballet and opera performances. Information about tickets for National Theatre´s performances: +420 224 901448 and info@narodni-divadlo.cz.